Guitar Lessons: What is a 'Key'? When you are playing a song "In the key of...", it means you are likely deriving your chords and your melody notes from the scale that begins on the letter name that corresponds to the key the song is in. 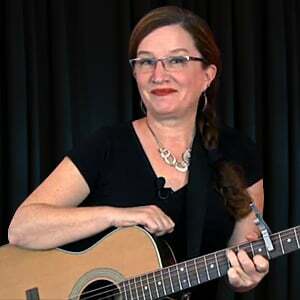 In this set of lessons, you'll learn what the most likely chords to appear are in the key of G, and, how to navigate changing between these chords smoothly and on time. You'll also learn to play a new song in the key of G, called "Darling Destination".